We are the one of the leader in manufacturing and exporting different types of Toilet Soap Machine in our company. We provide very wide range of plants such as Mixture Machine, Simplex Plodder, Triple Roller Machine, Worm Conveyor, Duplex Type Vacuum Plodder, Rotary Bar Cutter, Cake Cutter, Foot Operated Stamping Machine. We export our plants in national market and as well as international market. 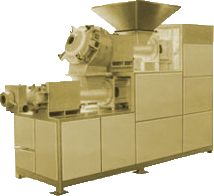 We offer Mixture Machine with an attached Hooper and diesel engine. These machines are used for mixing of soap powder, water and sand to produce perfectly blended soap cake. Designed using advanced technology, the drum rotation of machine is highly frequent and hassle free. Further, these are provided with caster wheels that facilitate easy portability. 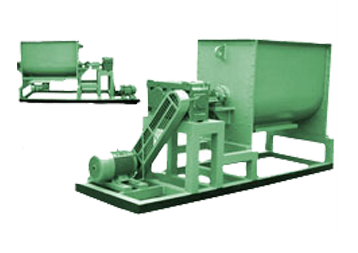 Simplex Plodder Machine is easily available in the market and its product is also demandable in the people as well. These machines are made of the best and high quality components; Our processing machines are strong and long permanent and take the capacity of all kind of production. 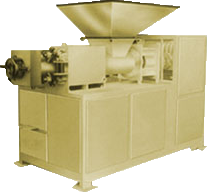 We are involved in manufacturing, supplying and exporting Triple Roll Mill Machines. Made up of minor steel with special alloy chilled rolls, we are present these machines to our esteemed clients in diverse specifications. These roll mill machines are demanded due to their excellent performance, perfect finish and long service life. Suitable to provide fineness and similarity to diverse metals, clients can get Triple Roller Machines from us at best prices. 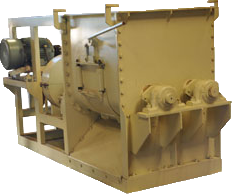 Worm conveyors are one of the oldest methods for transmission bulk materials. A revolving screw is housed inside of a sealed trough. 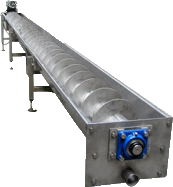 Worm Conveyors are simple and efficient, can handle materials with a varied range of properties, and can be applied in incline or decline situations as well as in areas where space is imperfect. 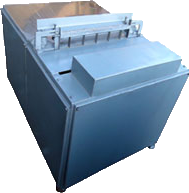 A Duplex Vacuum Plodder is a soap making machine that is used to extrude the final soap. Suitable for imprinting, the machine involves of two distinct stages in which the first stage is a refiner and the second stage is an extruder. A vacuum plodder that functions to de-erate the soap connects these two stages. This Rotary Bar Cutter is extensively used in steel, creation and metal fabrication industries for uniform cutting and destroying of bulk density rotary bars. To meet with the diverse requirements of our clients, we supply this machine in bulk quantity to different parts of the world with the ample support of our logistics team. Further, we ensure timely and safe delivery of each load. Our Company engaged in exchange and supplying highly efficient Foot Operated Sealing Machine that is used for sealing and packaging purposes. It is available in various capacities to meet the diverse needs of the clients. The presented machine is manufactured by our vendors using optimum quality components and advanced technology. Our offered Foot Operated Sealing Machine is highly acknowledged for its sturdy construction, better functional life and trouble free operation.